The First Day Hikes program is a cooperative initiative among the nation’s state parks to get more people outside. Last year, an estimated 41,000 people across the United States logged more than 72,000 miles on park trails. Today, more than 75 state parks are offering guided hikes and other outdoor events. 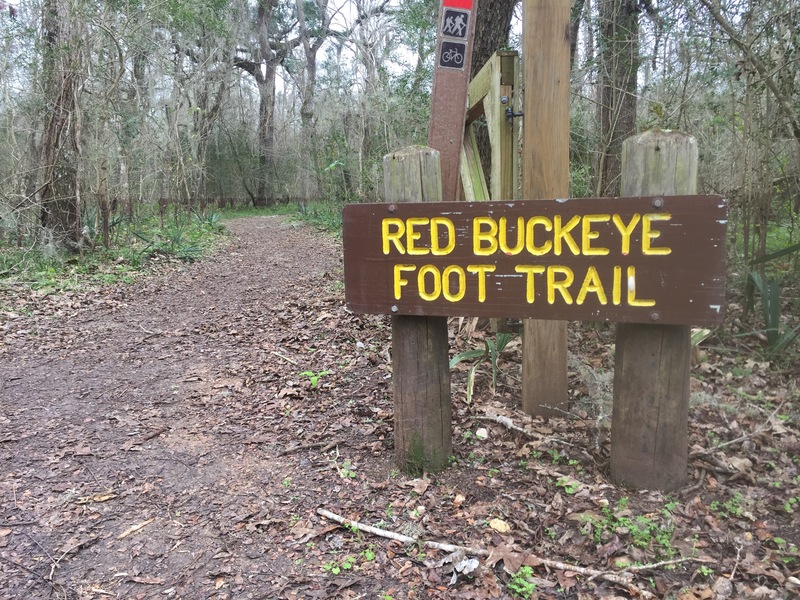 This morning, my wife Cheryl and I laced up our hiking boots and headed to Brazos Bend State Park for our First Day Hike. The cold weather and light drizzle did not dampen our spirits. We just donned our Frogg Toggs rain gear and took a leisurely stroll down one of my favorite trails at the park. 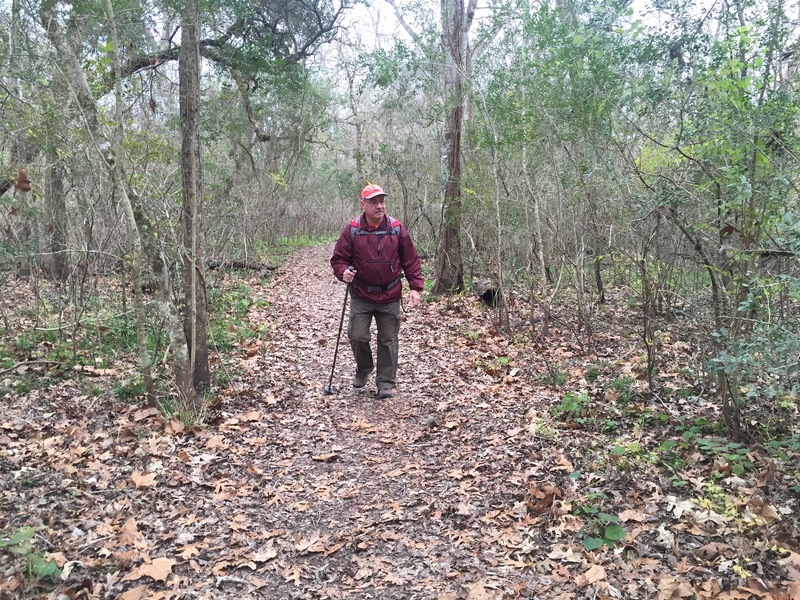 Meanwhile, park rangers led other groups of hikers at Brazos Bend on their First Day Hike. 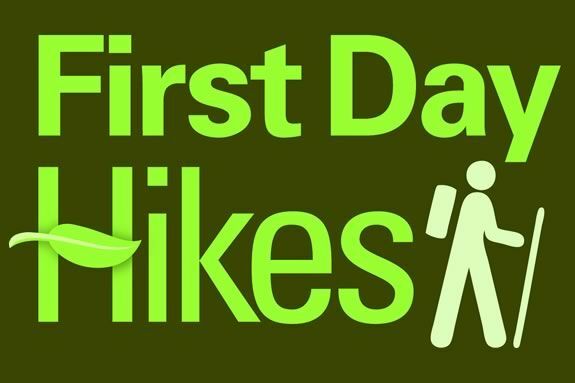 Today marks the fifth year that the Texas Parks and Wildlife Department has offered First Day Hikes. 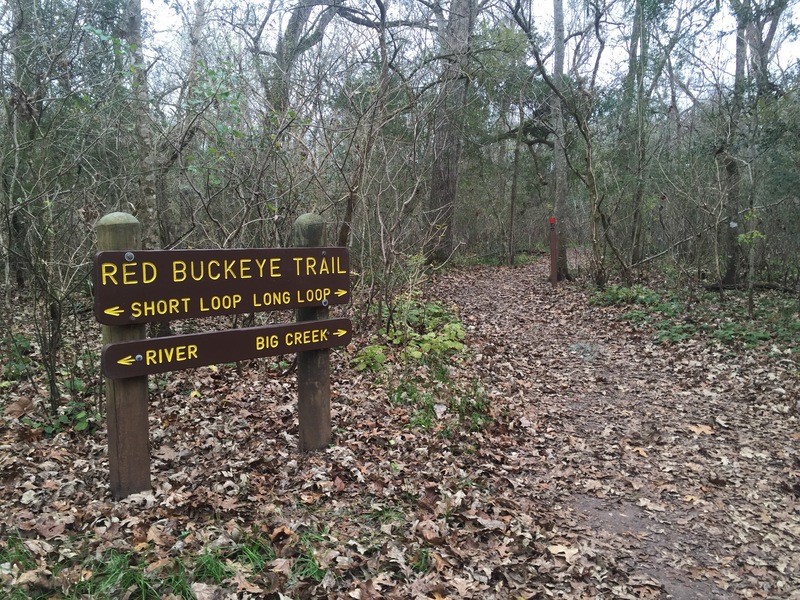 After the untold numbers of holiday calories consumed by the average Texan, the First Day Hikes initiative is the perfect way to get folks to burn off some of those calories by moving in the direction of a healthier and more active lifestyle. Hopefully, many who participate in First Day Hikes will be inspired to savor the beauty of our outdoor spaces throughout the coming year. Cheryl and I certainly enjoyed our slow walk through the woods on this first day of the new year. Hiking with Cheryl made the hike far more interesting for me. 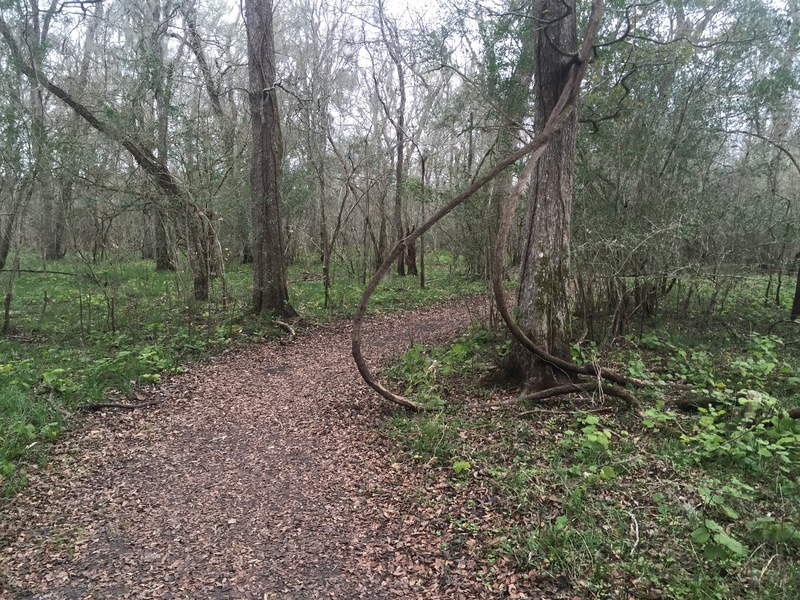 As a Texas Master Naturalist, she pointed out a lot of interesting stuff about flora and fauna along the trail. Our walk reminded me of something David Henry Thoreau said: “An early-morning walk is a blessing for the whole day” — and indeed it was. If you did not hike today, that’s ok. But, don’t wait until next year for your First Day Hike. Make any day of the new year the day of your first day hike. Hopefully your hike will inspire you to spend more time outdoors this year. Our Texas State Parks offer access to some of the most beautiful scenery in the world. So, find a park near you, lace up your boots, and hit the trail. In the words of Thoreau, you will find the experience to be a blessing. This entry was posted in Hiking and Camping, Texas State Parks and tagged First Day Hikes, Hiking, Texas State Parks. Bookmark the permalink. I thought about your end of the year hike. You are a great example of someone who embraces outdoor adventure. Hope 2016 is filled with many new outdoor adventures for you. That sounds like an excellent way to spend the first day of the New Year! Reading your post, reminded me of the times we joined our in-laws on their New Years Day walk, to St Andrews beach…..chilly but SO refreshing!! Glad we got up early to do the hike. St. Andrews sounds amazing! What a nice memory.